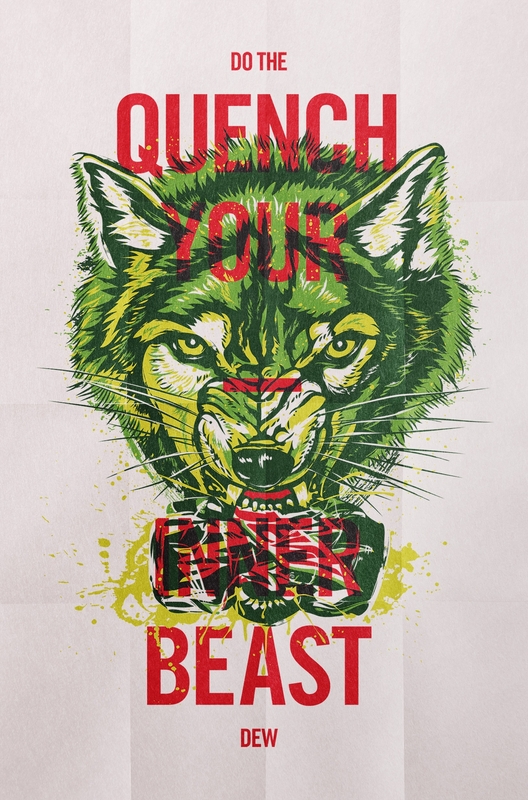 On occasion Christopher Cox is asked to illustrate and when asked he seizes the opportunity. 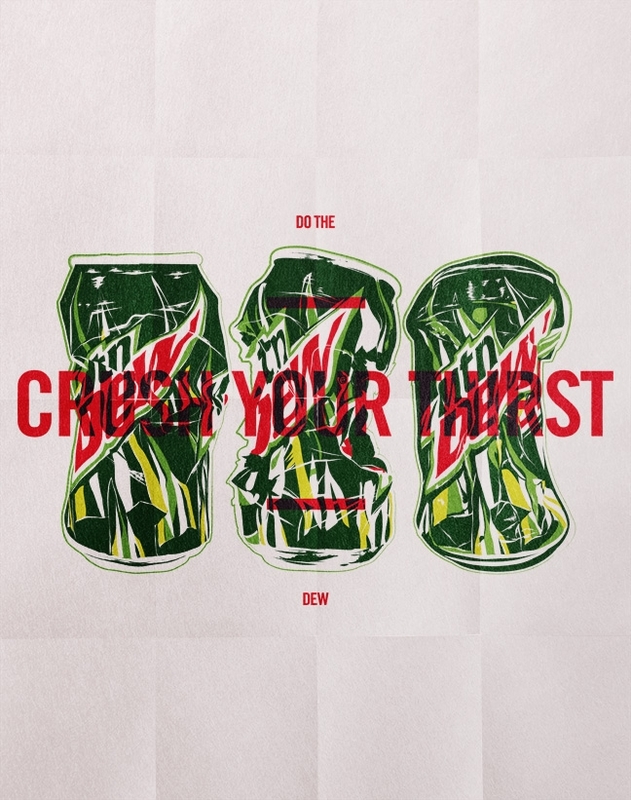 Mountain Dew’s advertising agency commissioned him to create imagery for general use in retail, merchandise and potentially in-store. 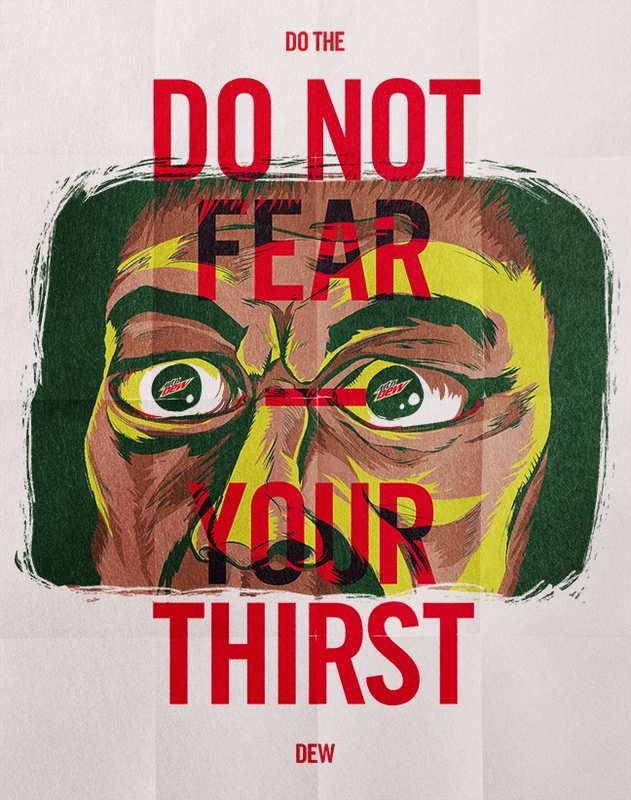 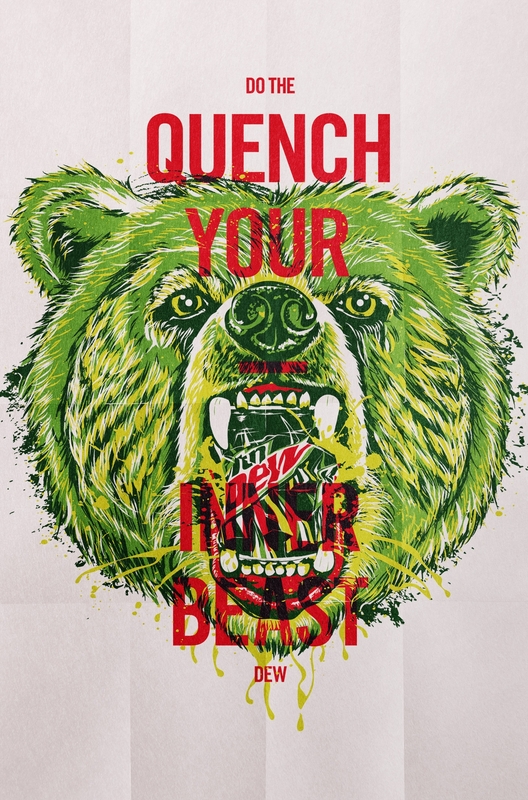 As opposed to pushing out ‘cool for the sake of cool,’ Cox chose to generate a mini-campaign about ‘ferocious thirst.’ He crushed Mountain Dew cans, referenced horror movies and hand drew his favorite frightening animals. 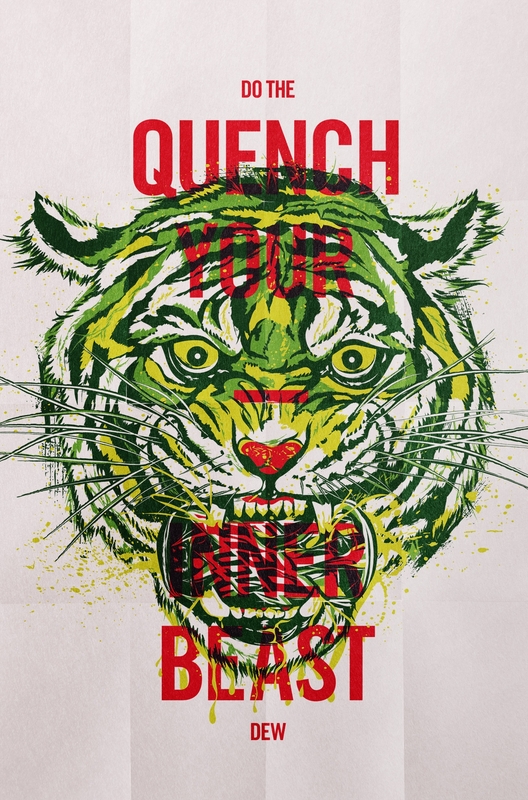 So go quench your inner-beast already.